One of the most frequently asked questions I’ve gotten recently- what items did you actually use during the newborn phase? I remember when I was pregnant and I did a poll on IG stories asking for some newborn favorites and my friends at Boston Day Book said you need surprisingly little for a newborn. Well they were right! Beyond diapers and milk of course, you don’t need too much for the true newborn stage. These were the items we used just about every day during the “fourth trimester”. Dockatot Deluxe Plus Dock– I’ve had several people ask me if this was worth it and the answer is definitely yes. 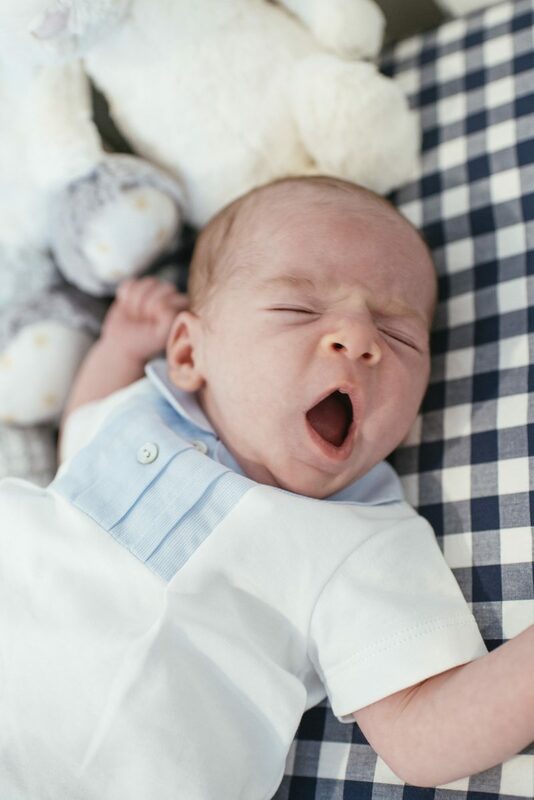 Nicholas slept most of the day in the Dockatot when he was little and it was great because I could always keep him close by since the dock is so portable. Now that he is older and bigger, we use it less for naps and more as a lounger- he hangs in it and plays with the toy arch or one of his other toys and I know he is contained to one spot 😉 PS- Dockatot did provide me with a complimentary dock, toy arch and hanging toys, but all opinions are my own- I would absolutely buy this item if it wasn’t gifted to me. Carter’s side snap shirts– A random one but one my mom recommended before Nicholas was born. Especially with the umbilical cord these side snap shirts were great to throw on under anything and give an extra layer of warmth. Added plus- it doesn’t go over head which Nicholas happened to hate when he was a little guy. Halo Bassinet– We loved our Halo bassinet and Nicholas slept in this every night up until 16 weeks. It isn’t bulky so it fits nicely even in a small city bedroom, plus the ability to move your little one over your bed in it is a game changer for the nighttime feedings. I was so sad when he out grew this. Halo Swaddles– With Nicholas we tried out a few different swaddles and the Halo ones were both his and our favorites. The Velcro makes them easy to put on and the zipper allows for middle of the night diaper changes. Nicholas slept a lot better in these swaddles than others, but I am sure it is personal preference so trying a few types may be good. This is another thing I was really sad to see him grow out of as he is now on the roll. Boppy Nursing Pillow-If you decide to breastfeed, the Boppy really helps get baby in a good position while keeping mama comfortable. Beyond nursing, you can prop your little one up to sit on it as well. To all the moms out there- what were some of your newborn essentials? Leave a comment below and share the wealth with all the other moms or moms-to-be!